The business organizations need to show the difference in this highly competitive business market where customer satisfaction is the main ingredient to run the business successfully. In the current scenario of the Middle East and other business friendly markets, it is not the world where your product range is everything for you as you have to provide excellent services also to the customers and clients when they visit you. 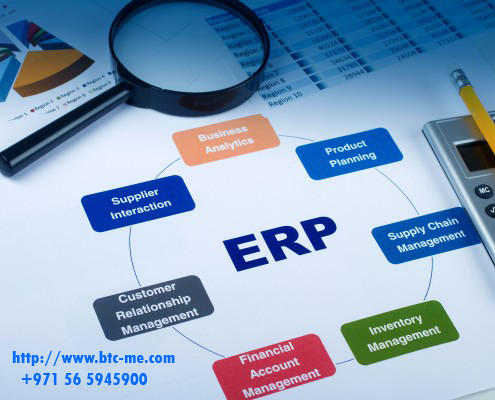 This can only be done through a proper IT based system which is provided through ERP system in UAE. For satisfying the customers, you have to set your business setup in such a way where customers need positive response when they are on your premises or connecting you for their queries. The companies have to redesign the customer satisfaction criteria to show the uniqueness and aggressiveness in the business procedures. The first thing which should be in your mind that every company works in a different way and the target audience is different for different companies. Due to this particular reason, the efforts to increase customer satisfaction is also different. When we talk about the business environment of Dubai and other major cities of UAE, the customers come from all over the world. To handle these customers of numerous countries, the companies have to work hard as it is not possible to understand the customers in a unique way for the companies. The only solution to manage these situations is to incorporate ERP solutions in Dubai which guide you to develop such a system which make the lives of the customers easier as this system works smartly to provide immediate solutions to them. To make sure that the customer satisfaction has been organized, you must ensure that all the required ERP systems have been incorporated in the company. You need to have a proper Resource Planning system, enterprise asset management system, stock management system, manufacturing execution system, warehouse management system and business intelligence system which helps the customers to know the condition and situation of the products and services. These systems also help the management to understand the requirement of the customers as they are getting the prompt response from them on an immediate and regular basis. When we talk about the provided ERP solutions in Dubai, these are basically setting the customer expectations and when it is achieved, all efforts are being organized by fulfilling the promises which were made initially. It becomes more important if you are doing E-Business as if the customer is doing something on your website, your system starts working immediately which is done through emails, instant messages and phone calls. All these efforts are directly related to customer satisfaction and if your system is working appropriately, the level of customer satisfaction will increase, which means the organizational goals and objectives can be achieved.